On July 14, The Long Bar, which has reverted to its original name under new owners, will host the comic singer along with J. Nowlan. The event kicks off at 5pm. The event is open to all and tickets are priced at just €5. All proceeds will go towards Edenderry Tidy Towns. 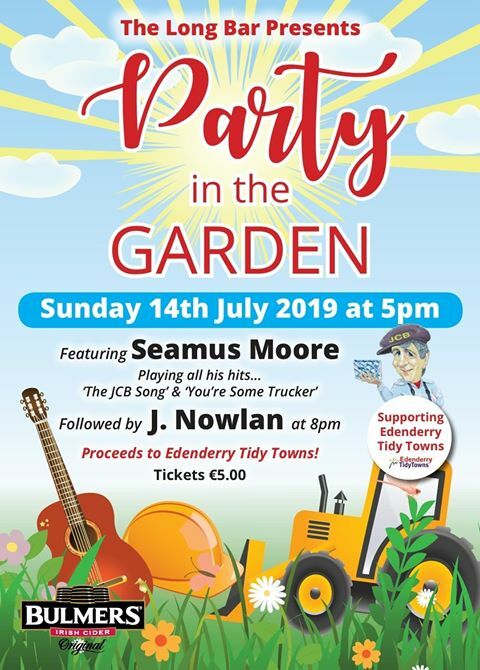 Find out more about the party in the garden at 'The Long Bar Edenderry' Facebook page.